– Empty all coffee from hopper. – For small grinders, pour one level capful of Cafetto Grinder Clean into hopper. For larger grinders use two capfuls. – Adjust grinder to medium setting and operate. 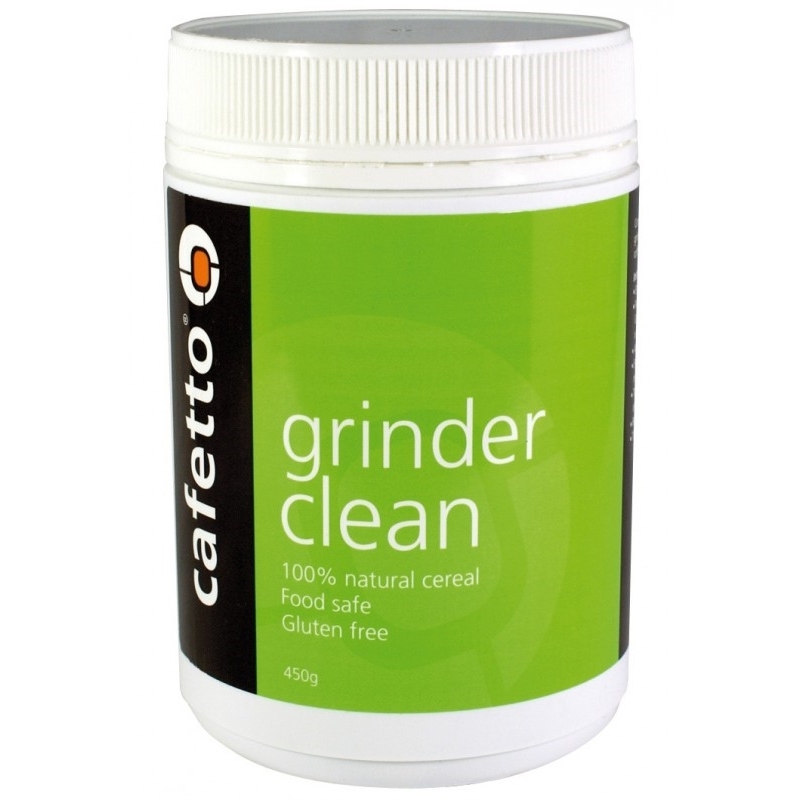 – Empty the grinder dosing chamber of Grinder Clean residue and brush out any dust. – To season the grinder burrs, repeat the above process once with coffee beans. – Reset the clean grinder. – The grinder is now ready for use.